We are kicking off the weekend celebrating Gregory Hines Forever 2019 Stamp. Last week the USPS held its First Day of Issue Dedication Ceremony. I’m including the link to the video of their Facebook Live event; it is over an hour perfect for enjoying your morning coffee watching the replay. Before beginning, if you are able to be in the Myrtle Beach area this weekend, stop by the 27th Annual Myrtle Beach Stamp Show. Link with details is at the end of my post. It is less than a two-hour drive away for me; however, this year I’m not able to attend. The show is a lot of philately fun including Postcards. InCoWriMo continues with today being Day 9. Thank you to my newest Pen Pal who wrote tome from Berlin – my reply letter was put into the mail yesterday and is on its way back to you! It is the 42nd stamp in the Black Heritage series. 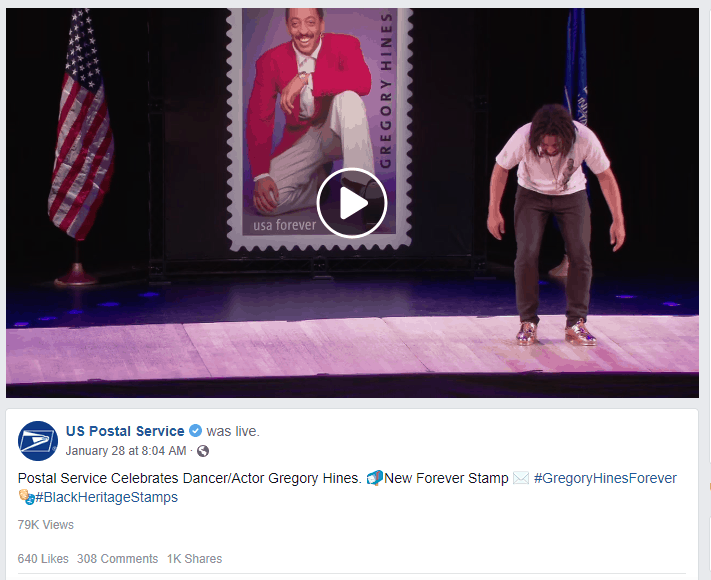 The link to the entire PostalNews article on the New Forever stamp features dancer, actor Gregory Hines recaps the First Day of Issue Ceremony held on the Upper West Side of Manhattan. This USPS Facebook Live FDOI Link lets you watch the replay of the entire event. Hearing the comments from his daughter towards the end of the video (link is below) is especially poignant. 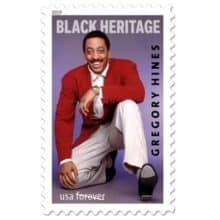 The USPS Store is offering a selection of Gregory Hines Forever souvenirs from the dedication ceremony in addition to the 2019 Forever Stamp, the stamp is available in a sheet of 20, a block of 10, and a block of 4. In conclusion, I’m looking forward to adding this Forever stamp to my stash of stamps I carry around and use with my letter writing. Happy Saturday! PostalNews New Forever stamp features dancer, actor Gregory Hines January 29, 2019, Posted by Brian Sheehan.